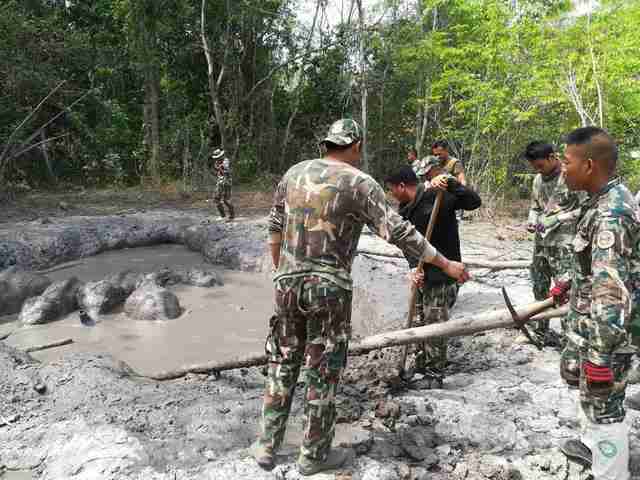 When a group of park rangers in Thap Lan National Park in Thailand became aware of six baby elephants trapped in a pit of mud, they immediately rushed out to the site to assess the situation. 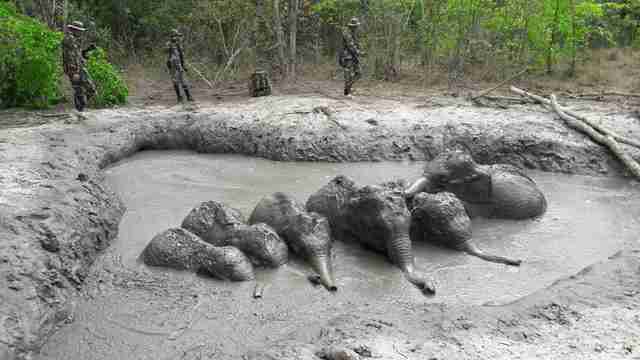 When they arrived, they found the six baby elephants all lined up in a row in the mud, entirely stuck and unable to get out on their own. 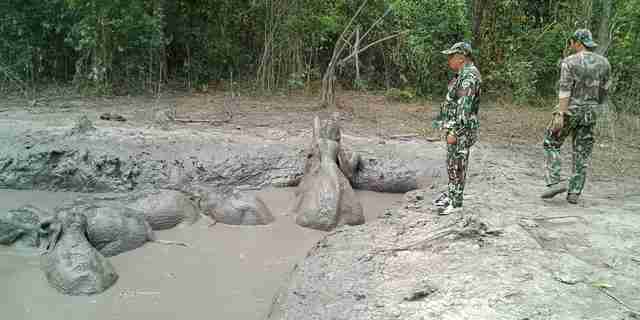 As they looked around the area, the park rangers realized the parent elephants were still close by and seemed to be waiting for their babies to climb out of the pit and join them before moving on. The rangers knew it was up to them to make that reunion happen for the baby elephants and their parents. Unfortunately, the park rangers didn’t have the equipment to help the baby elephants right away, and so someone kept watch on them overnight until the equipment could be brought over the next morning. 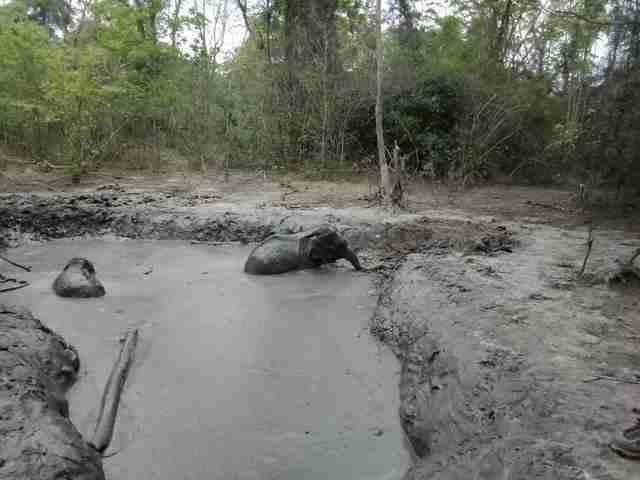 … and one by one, the baby elephants slowly made their way out of the mud pit and back up to safety. All six of the baby elephants seemed just fine after their ordeal, and the park rangers watched them for a bit to make sure they were walking and getting around OK. If the park rangers hadn’t dedicated their time to trying to help the six baby elephants, there’s a good chance they wouldn’t have made it. Instead, they were safely reunited with their family, and will hopefully be careful around deep mud pits in the future. To help other elephants in need, you can make a donation to Elephant Nature Park.